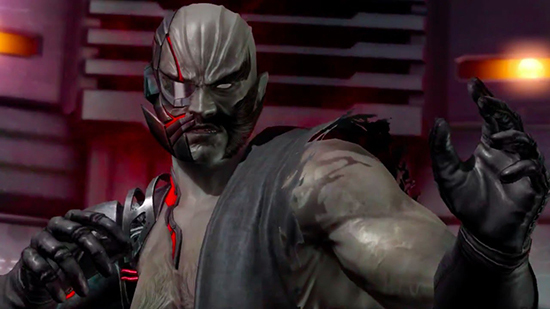 Evil Ninja Reappears to Reign Terror in KOEI TECMO’s Hotly-Anticipated Fighter. The latest fighter joining the DEAD OR ALIVE 6 roster, “THE REGENERATION OF BRUTALITY,” Raidou. The sinister ninja was thought to be killed during an explosion after the first DEAD OR ALIVE tournament, but his body was secretly recovered and experimented on using DOATEC’s biotechnology, and while that leaves Raidou without a mind of his own, he has now devolved into a madman who only craves strength and destruction. DEAD OR ALIVE 6 is currently in development for the PlayStation 4 , the Xbox One family of devices including the Xbox One X, the all-in-one games and entertainment system from Microsoft, and digitally on Windows PC via Steam, and will be released worldwide on the 1st March 2019.